Gilbane provided Construction Manager as Agent (CMa) Services for the General Services Administration in Indianapolis. Our team provided design reviews and construction oversight for the Renewable Energy Phase of the project. 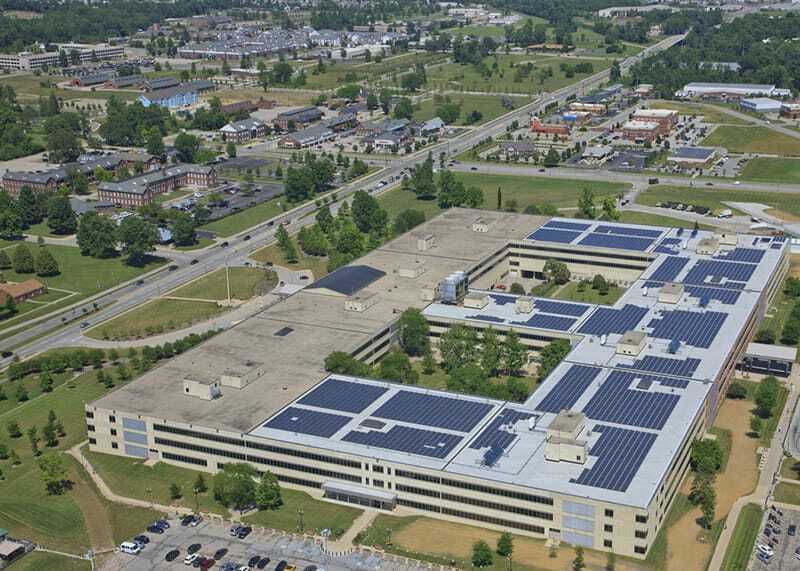 The project consisted of a new IRMA (Inverted Roof Membrane Assembly) roof system, the installation of a 6,152-panel photovoltaic (PV) system to provide 2 MW of power, and installation of a PV test lab. The plumbing work consisted of a solar hot water system. The makeup of the solar hot water system included three flat plate solar collector systems and one evacuated tube system. In addition to the Renewable Energy component of the project, Gilbane worked as a design team member for the planned DoD security upgrades. The project is designed to LEED Silver certification. 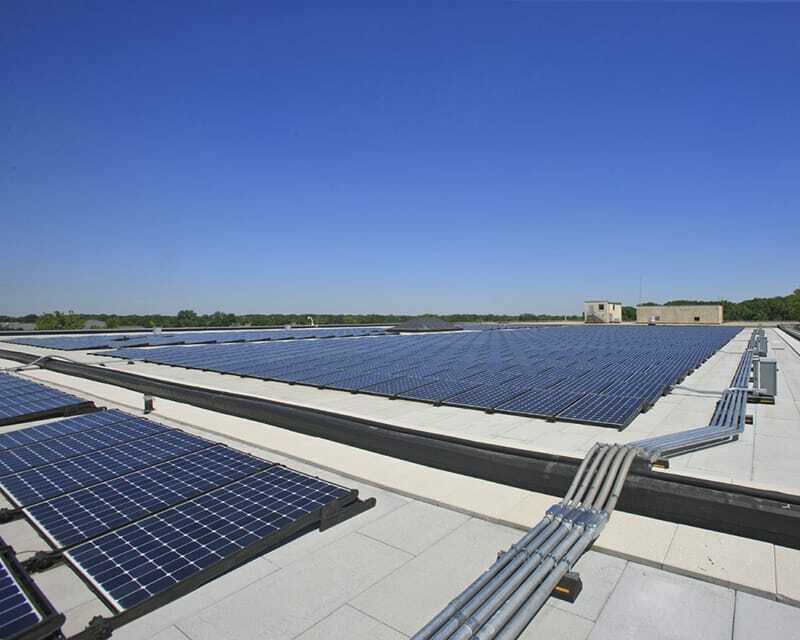 It is estimated that 6,000 solar panels will provide 2 (MW) MegaWatts of power.